Why do I have a huge battery drain when I hardly use my phone? I'd like to post a screenshot but i don't see the option to do so, so I'll just post it as I see it. I am currently at 60% after taking my phone off charger at 100% 5hours ago. What is going on? I have email to sync every 4hours so I know that can't be it. What can be causing such a massive drain? I don't use Facebook, Twitter, Instagram, so Im completely lost as to why my battery is draining so rapidly. 60% battery left after 5 hours of use is not that bad. you may have a rogue app or setting though. uninstall suspect apps. 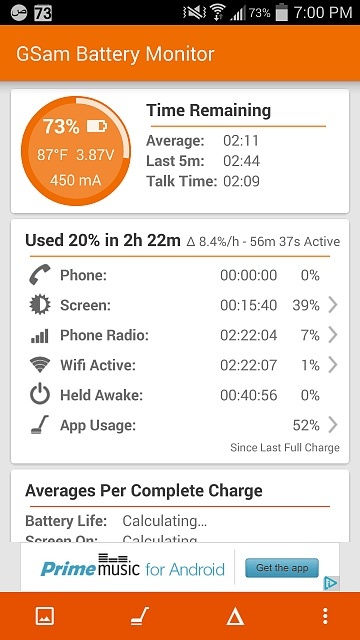 It's not 5 hours of use though, Its just been 5 hours off the charger. The screen has only been on for 20minutes and I've lost 40%. I've charged it back up to 100% and waited a few hours and these are the results. if battery life bothers you alot, do try to turn off sync, and turn off data when not in use. 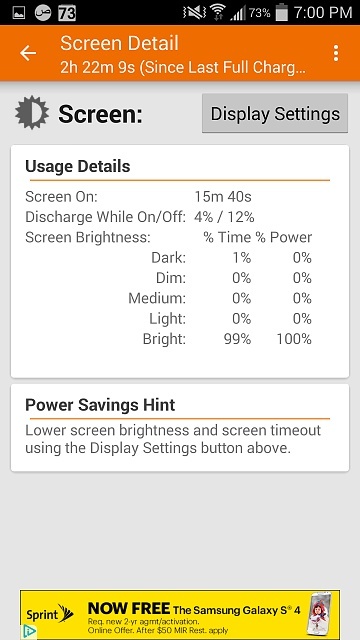 (I can get 6-9hr sot with this). 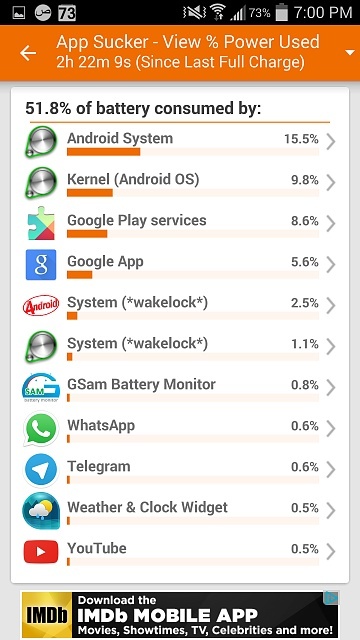 There is no question Android is using massive amount of battery, as it is being tasked by google to do more and more things even when you are not looking at it. Jumping to a different phone won't really solve the problem. I am using a Bluetooth mouse on my Galaxy S5, the mouse does not orient properly in landscape mode. How can I get it to do so? Still no way to disable update notification without root? What would you do with all that storage? How do I turn volumes up after a factory reset? How do I set my gallery pics for my contacts as caller ID's?